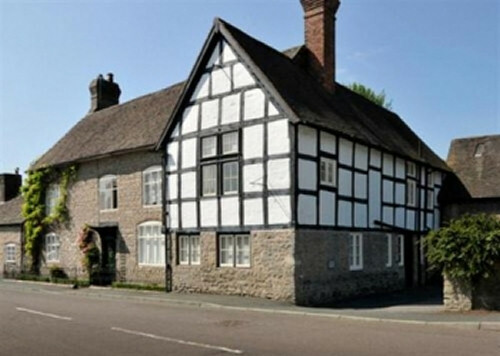 The 16th Century Grade II listed Manor House offers comfortable, spacious and stylish bed & breakfast accommodation in a delightful family home at the heart of the picturesque medieval market town of Much Wenlock. Situated in a self contained wing, with a separate entrance from the court yard offering off-street parking, the accommodation comprises a spacious double bedroom with large ensuite bathroom with bath and walk in shower and a large twin bedroom with ensuite shower room. Both rooms are tastefully decorated with tv/dvd, tea and coffee making facilities and free wifi. In the morning you will be served an excellent breakfast of your choice in the dining room from locally sourced produce with homemade jams and marmalade and honey from our own bees. The historic town of Much Wenlock with its 12th century Priory, beautiful buildings and links to the Modern Olympic Movement through Dr William Penny Brooks is an undiscovered gem in itself. We are a short walk away from the town centre with its shops to browse, pubs, restaurants and tea rooms to enjoy a drink or meal in. The town is surrounded by beautiful, rolling countryside with walks to suit all abilities and spectacular views from Wenlock Edge. We are only 10 minutes from the UNESCO World Heritage Ironbridge Museum site and there are no end of things to do and see here; see the Things to do and see section. “The accommodation is superb – the best of its kind, with a homely warmth and excellent attention to detail” Jade Wright – Liverpool Echo.